It’s easy to think of all of the good habits we wish we had: putting money away each month, getting up earlier, working out every day. As it turns out, setting good habits can be a powerful way to achieve our goals and help keep us focused and organized. Once a good habit is etched in our brain, we’ll be much closer to achieving our goals without even thinking about it. In my book Unstuffed, I share lots of simple, practical tips for clearing our lives of clutter, both the physical stuff that fills up our homes, and the mental stress of an overbooked schedule and lack of balance. In it, I also share how simple daily habits can make a big difference in taming the overwhelm. According to author Charles Duhigg, habits require three components—the cue, the reward and the routine. In order to successfully create any automatic response, we have to nail all three. The cue is simply the circumstances surrounding the habit. Take, for example, brushing your teeth, which you (hopefully) do at least twice a day. Most likely you do it when you wake up and before going to bed. You probably brush in the bathroom. You’re also probably by yourself, or maybe your spouse is there, too. You may be triggered or “cued” to do it because, well, your mouth tastes mucky or you ate something with garlic. 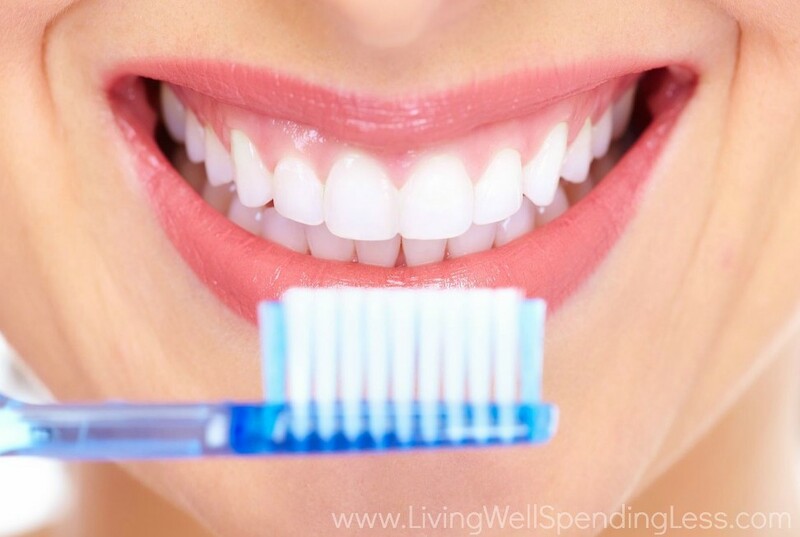 Most of us don’t think much about brushing our teeth; we just do it out of habit. We don’t spend hours anticipating the act or even thinking about it at all. It just gets done. The reward is whatever helps trigger that “muscle memory” or Pavlovian response. In classical conditioning, animals (or humans) are given a cue to perform a task and then rewarded with a treat. Eventually, just the presence of the cue will trigger a response. Whether it’s habits in budget-keeping, exercise or even dental hygiene, a reward is a mandatory part of the process. Good habits produce good results. In our teeth-brushing example, the reward is a clean mouth, a lower dental bill, a lack of mouth pain, and maybe even the fact that you’d rather happily avoid a lecture from your dental hygienist. The routine is simply putting the cue, the act and the reward together. Once you combine these three components: 1. My mouth feels mucky, 2. I brush my teeth, 3. My mouth feels better—you have the recipe for a good habit. But here’s the cool part, and the BIG reason creating good habits matters so much: Habits, once established, use a different part of our brain. We don’t have to think about them, we just do them, and they don’t drain our mental energy. Thus, the more good habits we can create, the more productive, happier, and successful we can become. It’s a good idea to spend time thinking about what habits you really want to form and identifying what’s most important to you. 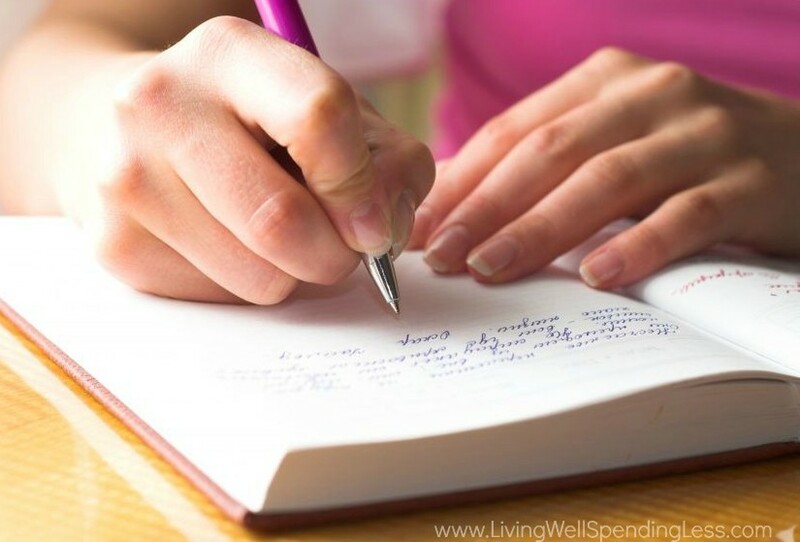 Journaling or just writing down your future good habits can really help. Here are a bunch of great habits (beyond brushing) to help you be more successful, happier and less stressed. Try applying some of these good habits to your daily life as “starter habits”—and it’s only up from there! Picking up, keeping things organized, and even just making the bed helps us feel better. It prepares us for visitors, helps us be more efficient, allows for a better night’s sleep, and even helps us get along with our spouse and our children better. It’s probably not realistic to expect to spend two hours every day cleaning from ceiling to floor. And vacuuming and dusting every single day? Not gonna happen. However, just sweeping through the house, picking up items lying around, cleaning up spills as they happen and rinsing your dishes and putting them in the dishwasher can make a world of difference. Most importantly? It keeps the mess from escalating, which keeps us from lashing out at our husbands and children, or from being angry with ourselves. Try setting a timer when you’re just starting out forming this habit. Before you go to the bedroom or even before you settle down to watch some television—whatever your nightly routine—go through your house for just 15 minutes. Pick up items, straighten cushions and wipe off counters. Make it a habit to rinse the dish after you eat off it and to make your bed the moment you get up. Your day and attitude will benefit. One of the top habits of successful people? They’re mindful money managers. Spending can be habitual and automatic. When we get into the routine of swiping a credit card at every whim, it can quickly spiral out of control and become a dangerous mess. One of the best ways to get in the habit of mindful money management is to take some time off from spending all together. This can be a challenge, but when it’s over, you’ll be amazed at how much more you think before you swipe that card. Make it a habit to examine your bank account and budget daily. Just 5 minutes a day spent glancing at it and checking that things are going smoothly can catch problems right away. 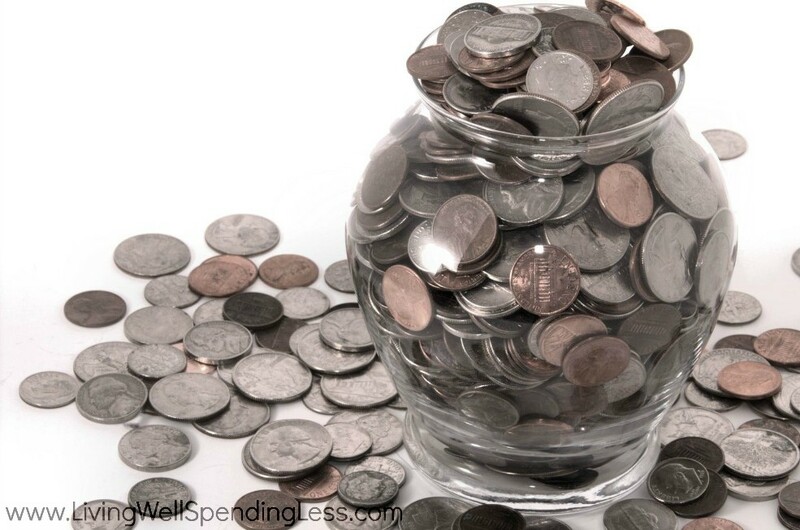 Put your money back in your wallet or place coins in a jar each time you spend. Make it a habit to stash the “extra” change away. Just wait and see how quickly it adds up. You may even want to consider opening a separate savings account, particularly one that rewards you for making a habit of saving money! Download this FREE (and incredibly helpful) “10 Simple Ways to Boost Your Emergency Fund” eBook from brightpeak financial for some great tips and more information about how you can earn $100 just for saving $1,000! One habit that can definitely change your perspective almost immediately is to become intentional about choosing an attitude of gratitude. Universally, successful people are able to identify the positive things in their life and show appreciation for them. When I was having a particularly difficult time with a loved one, a friend told me to sit down and make a list of everything I appreciated about that person. Whenever I was frustrated or angry with them, I would revisit that list. As silly as it sounds, it really did help. Focusing on what you’re grateful for helps build an appreciation for what you have. It helps us feels blessed, so we can find beauty in life’s ordinary moments. When things are going wrong, remaining thankful helps us refocus on all the things going right. Make a habit of identifying 3 things every day that you’re grateful for. 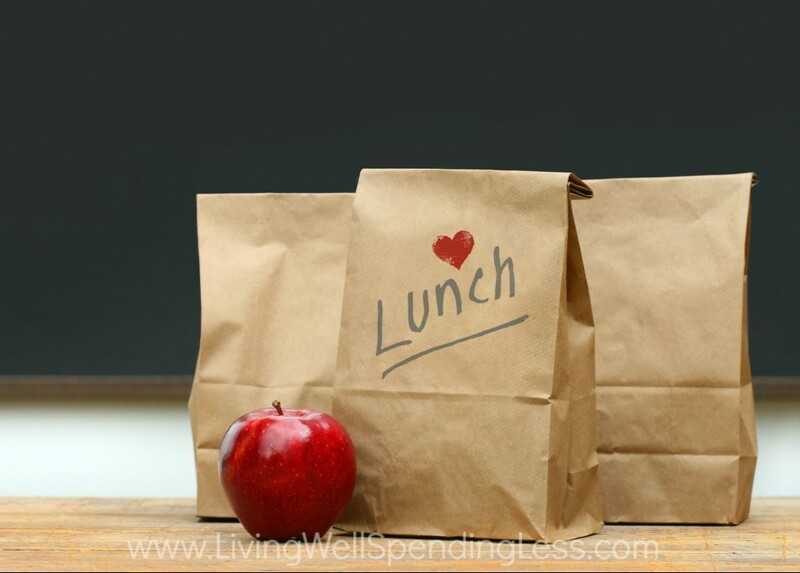 This can be as simple as eating a yummy breakfast, hearing from a friend, or sleeping in a warm bed at night. If you focus on these 3 items each day and list them out every morning in your journal (or on your phone or anywhere you can easily revisit often), you’ll be amazed at how much you have to be happy about. 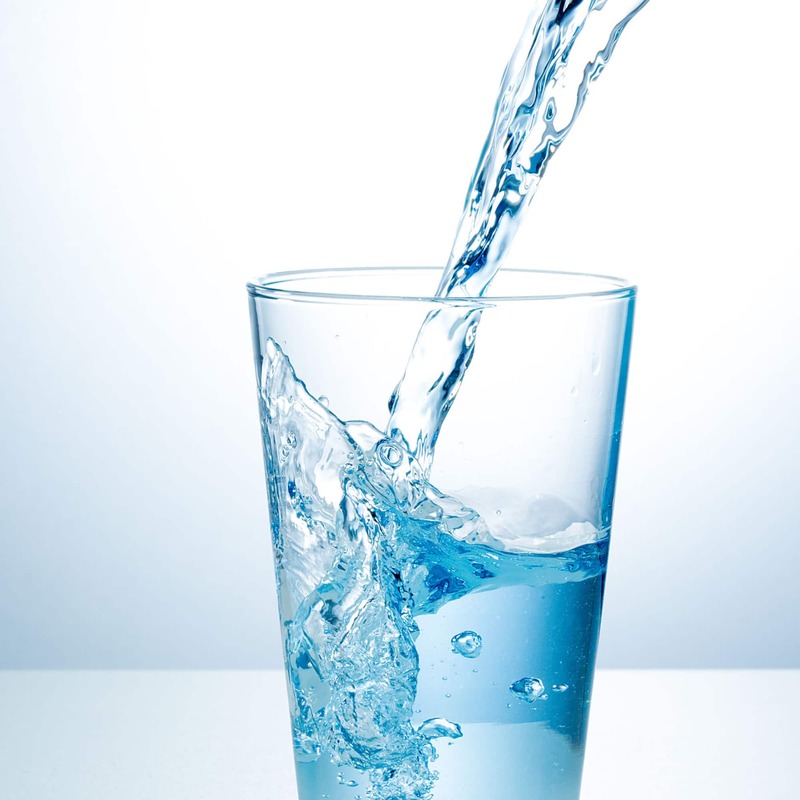 By now we’ve all heard the many benefits of drinking water: more energy, clearer skin, better digestion. Of course that doesn’t mean we always follow through. 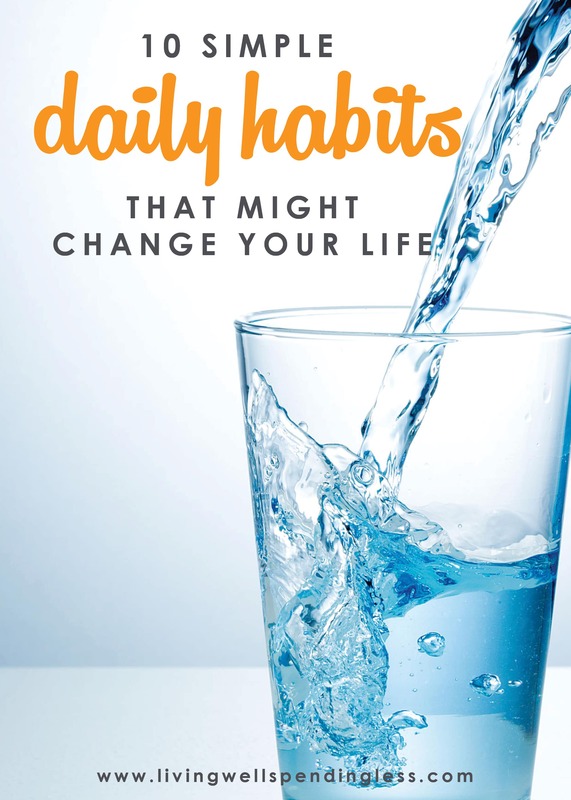 Why not make it a habit to drink a glass of water first thing every morning, or to more water throughout the day? It’s not so much that you need to count your 8 glasses like a punishment, but think of it as a great way to fuel your body. Dehydration can make us feel hungry, tired and cranky. We eat more, we make poor choices, and we tend to reach for unhealthy beverages (like soda) when we’re dehydrated. 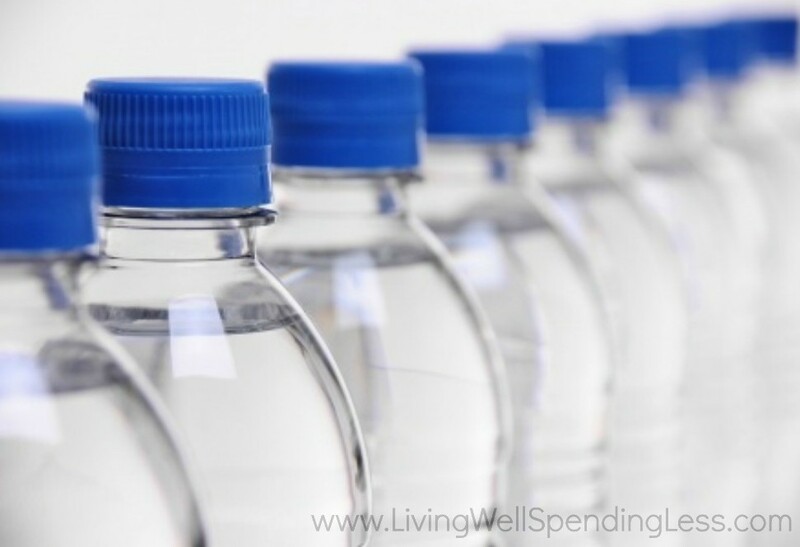 Carry a water bottle with you and refill it when you can. Think of how amazing it is that we have access to water nearly all day, every day. There are many places in the world where water is a precious commodity—where water is carried in, tightly conserved, and even fought over. We are so blessed every time we’re able to fill a water bottle with clean, drinkable, fresh H2O whenever we want. Drink it and appreciate it! People who are successful plan it that way. 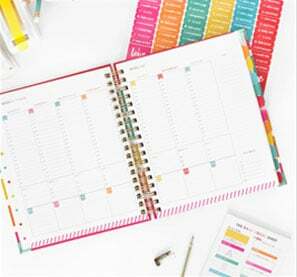 They write down appointments (and keep them), utilize a daily task list, and use their calendars as a map toward achieving their goals. For each to-do item, find a time on your calendar and write it in. 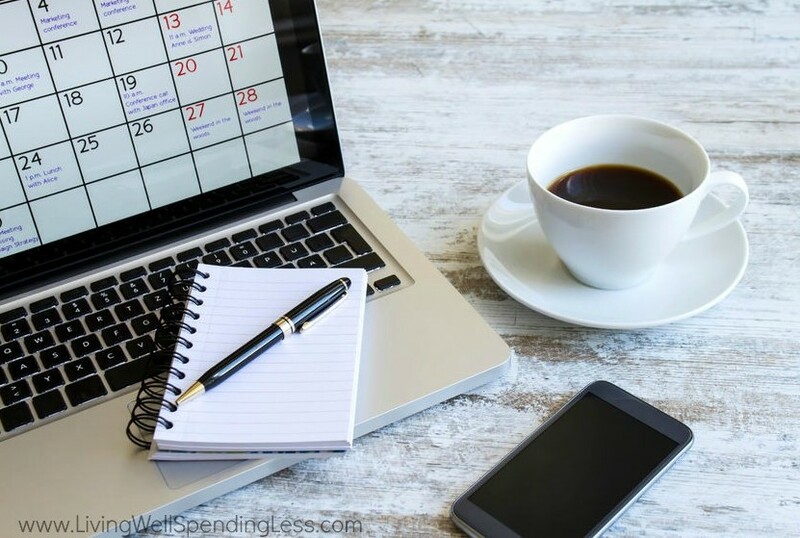 Scheduling time for things like exercise, housekeeping, cooking and leisure time can feel a little funny at first, but once it becomes a habit, it’s a great way to get an overall view of your week. Scheduling helps you manage your time wisely, so you can maximize your “rewards” and anticipate your family’s needs. One great habit to get into is the habit of looking over your calendar and write out your to-do list right before you go to bed. You can go to sleep knowing you have a plan for the next day, and often your subconscious will work out solutions to problems in your sleep. Strengthening family relationships and considering the needs of your spouse and your children is one of the most important factors in any decision. In today’s culture, we talk a lot about “the life you want” and success of the “Me.” We also see a lot of unhappy marriages and a lot of divorce. These things are not always related, of course, but putting the needs of another person before your own really does make a difference. I’m not saying to be a doormat or to always cave to the demands of your children, but I am saying that in every decision, make it a habit to consider, “Will this keep my children safe, happy and secure? Will this keep my spouse safe, happy and secure, and strengthen our relationship?” If you make it a habit to carefully and purposefully ask these questions first, before jumping into a decision, your entire family will benefit. Make family time a priority and make your children a priority. Before you commit to another activity or jam another thing into an already packed schedule, be certain you’re not overriding the needs of those closest to you. Every marriage needs a little one-on-one time, a date night, or some romance to keep that spark alive. Say I love you and mean it—but also make it a habit. I’m an early-riser. It’s not so much that I’m a morning person, per se, but I find that if I want to achieve everything I set out to do on any given day, getting up early gives me time to get started. It gets me going before I’m faced with family needs and sets the tone and foundation for a successful day. Set your alarm for the same time every day. Even on weekends. 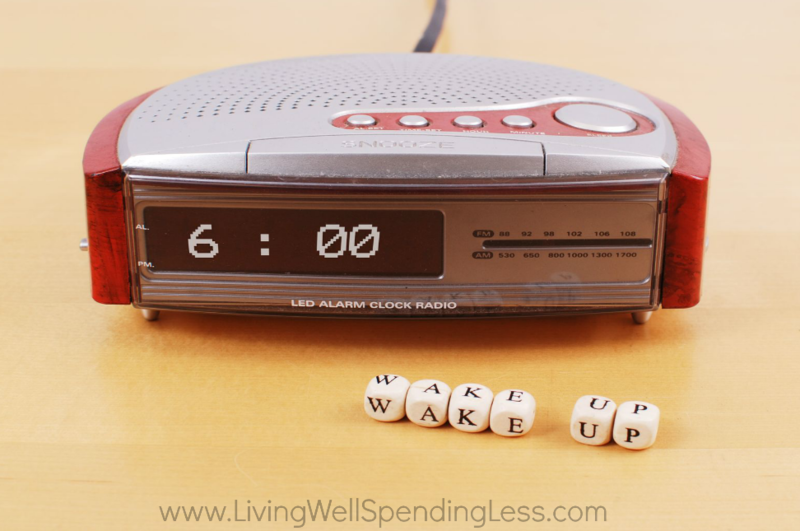 Want to get in the habit of getting up earlier? If you determine the best time and work back in ten-minute increments per week, you’ll be getting up earlier in no time. Get to bed at a similar time each night and if you need more sleep, get to bed earlier (rather than sleeping later). Don’t rob tomorrow of success to fit in another chapter tonight. Instead, put it away until later and let your body get the sleep you need. This can be one of the most difficult habits to start, but once you do, you’ll wonder why you didn’t do it sooner. Early-risers are more productive and find more time to address problems at the start rather than playing catch up all day long. Even ten extra minutes in the morning can mean getting out the door on time and in an organized manner. Similar to getting up early, preparing before bed helps us get a jump on tomorrow. Make it a habit to put out your clothes for tomorrow, be sure lunch is ready to take, and prepare anything you’ll need for breakfast and lay it out the night before. What takes 10 or 15 minutes before bed can take 20 or 30 amidst morning chaos. Successful, happy and productive people have a regular habit of getting in some healthy movement each day. This doesn’t necessarily mean a 5-mile run (unless that’s your thing, of course). Simply taking 20 minutes on your lunch break to do a lap around the block, taking the stairs more often, or even parking your car a little farther away from the grocery store can really add up. If you have a difficult time making moving a habit, there are many apps and devices to help. Check out a fitness tracker, like Fitbit or Nike+ FuelBand. 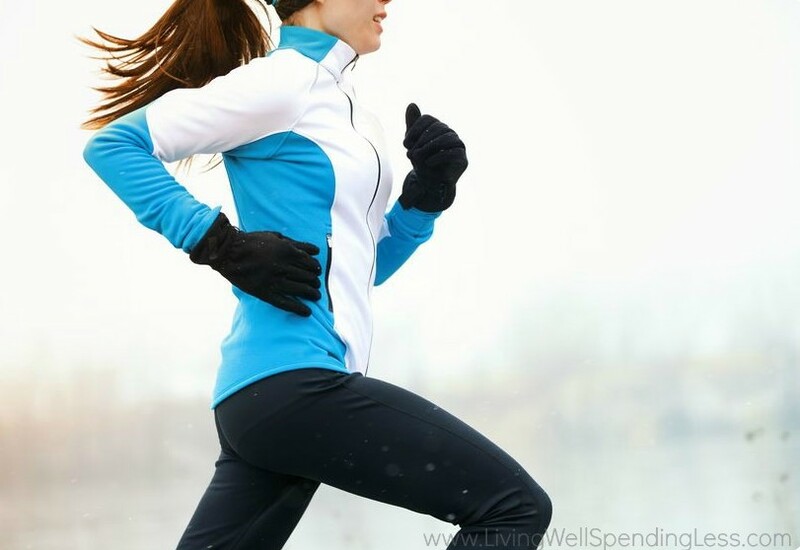 Many fitness trackers can be set to vibrate every hour or less to remind you to stay active. This doesn’t mean you need to work out every half hour or anything. Just move: getting up to get a glass of water or taking a quick jaunt to the copier can add more movement into your life. Make movement a habit. While putting your family first is important, this doesn’t mean you should completely forgo your own needs. Truly happy, successful people know when they need to take a break and when they need to nurture themselves. This doesn’t always have to mean a spa day or a shopping spree. Find little treats or gifts to give yourself throughout the day—savor a cup of coffee, smell it, sip it slowly, and feel the warmth between your hands and the steam on your face. Really think of it as a present. Take the time to focus on it and be mindful. Connect with a friend for 10 minutes and truly engage in conversation without distraction. Do exercises that you like or go for a walk and admire the world around you. 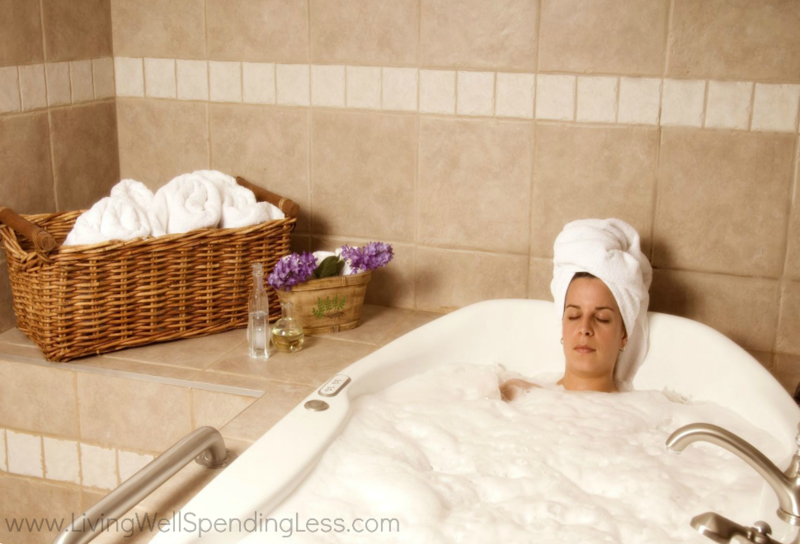 Listen to a song you love or take time to indulge in a magazine, a warm bath, or some long stretches. Savor a piece of dark chocolate or a delicious piece of fruit. Whatever you truly enjoy, take the time to be mindful and give yourself something special. Make this “me time” a habit and do it daily. It can be hard to find time to nurture yourself, but it’s important. Do it without guilt and enjoy it. I agree with all 10 but prayer should be 1st. Then everything else comes together. Exactly. Start with prayer and put Jesus first and you wont need the list. I agree , prayers First , think about those in the worst way and pray 🙁 at least I do …. This post is full of awesome and actionable takeaways. I think some people find it hard to improve their lives as they are so overwhelmed by everything going on around them and in their own lives. Thing is, if you really want to improve your life you should start with the small stuff such as some of these wonderful tips. Once you’ve mastered one habit or made one improvement, overtime it will snowball and before you know it you’ll look back and not recognise that life where you wished things were better. You are a wise woman, Ruth. I am very thankful I found your blog. I’ve always been an early riser. I love spending the early morning in the Word and in prayer. It is a great way to keep my focus on what is really important in life! What a fantastic post!! If every person in the world implemented even just 2 of these habits and stuck with them for the rest of their lives, they would be so much happier and more productive. Yes times 10! These are all so true. It can sometimes be the simplest things that are the easiest to overlook. I LOVE setting the timer for 10 minutes on each of my three floors and working like crazy on whatever I trip over…seeing how big of a difference I can make. It is amazing what you can accomplish in just 10 minutes! This week I am going to work on choosing gratitude. When my son’s friends are over and annoying me, I will choose to see their positive traits;0) I will look on the bright side of situations instead of dwelling on the negative. When someone leaves a negative comment on my blog, I will be thankful for their perspective! I wanted the same thing. The first thing I did was use a post-it note or two next to my desk so I can see them quickly as I go by. the second thing I did was download and send this to my email address to look at every morning or at night. 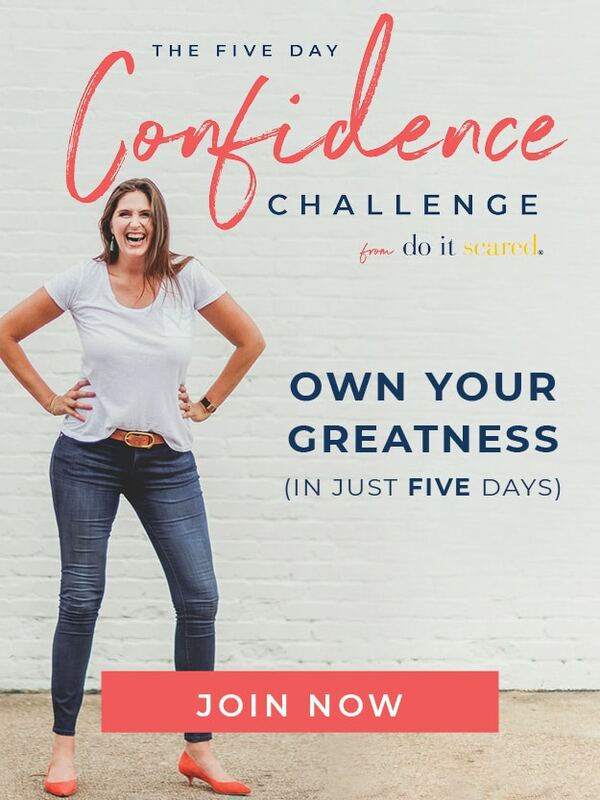 I need to be motivated often and it works! If you want to use my email above and I will forward the whole page to you. Printing it up would take up too much space, ink and pages. Like I said the quickest way would be to write the ten practices in two or three words that remind you of them…… good luck! Love this, I always find that my life in general is better when I’m implementing numbers 1, 2, 3, 4, 5, 7, 9, & 10. I’m single and other than some fur kids, don’t have any children to put first, so for me, putting my family first refers to my extended family, and some times I really struggle with that. I LOVE the suggestion of writing out the thing you appreciate most about people you are having a difficult time with. I think this would really help me, but I think it would also help if I gave that list to the person I’m struggling with. I think it would really help strengthen our relationship (regardless of who you are struggling with). Kind of like, hey, I’m struggling with you so I wrote out all the things I appreciate about you. You’re telling them that right now you are struggling, but you still love and care about them. Really going to start implementing this. As for preparing for the next day the night before, I work from home so I don’t have as much to prepare for, but I can still see the benefits. Will have to work on implementing all of these into my daily schedule. I have a few of these down already. Looking forward to implement the others. By summer, I’ll be a whole new (relaxed) person! I think drinking water really saved my life. I used to hate drinking water. I would tell myself drinking a soda a day is fine, but in the long run it is really hurting my health. While playing with my kids, I had a hard time keeping up and my kids were really worried about me, that was when it hit me that I needed to change. I started with eliminating the 1 soda a day to just water. By doing that, it slowly led me to live a better active lifestyle and my kids are loving it. Looking back now, I do not know what I was thinking drinking 1 soda a day. I found you on thrifty thursday link party. I love your posts! I have seen them a few other places and love them. I wrote something similar a few days back and love yours better! I forget the important things like taking care of “you” also! I get the poinyou’re going for but it’s actually called operant conditioning, not classical conditioning. Classical conditioning never involves a reward or punishnent. Look it up! Behaviorism is fascinating! I love this, I am really trying to work on getting up earlier but it’s harder for me to get to bed early so I feel like I’m fighting a loosing battle sometimes. The problem I have is, if I am spending my time on things that are not for the family at night, my husband feels like I am negelecting him. He works until 7:30 PM (if he gets out on time) and is not home until 8:00 PM at the earliest. After getting the kids in bed, I am lucky to have enough time to straighten up and get laundry folded, let alone spend some much needed quality time with the hubby. He is a night person, and likes to stay up until 12:00 AM most nights. I am struggling to not feel guilty if I go to bed at 10:00 PM, if I want to work on my “me” stuff (which is my blog right now), I don’t feel I have the time, or I work on it after 11:00 PM, but still need to get in an actual room cleaning and email checking, and all of the other little things. One day I will get this up early thing right, at least I try every day, that’s got to count for something. For me, I need to make myself get up even though I’m tired, and maybe then I’ll be tired enough to just go to bed at 10:00 PM without thinking! I cannot stress the drinking water thing enough! I have eliminated soda and switched to water and I feel great! This is a habit EVERYONE should take up. In fact I wrote a post about how important water is. Good and practical tips for life.. This is so inspiring! Thank you for gentle reminders we all can use. I too, am an early riser, I find this time to bake, do laundry, ect, amazing how much I can get done when my guys are sleeping! Well written. I liked the point on habits. Most of these life changing suggestions are found all over internet and also in several self-help books. So it is not possible to say that any one article or book or suggestion can be life changing. But one habit which everyone can develop is to keep reading these articles and books. This will keep one motivated and develop positive attitude towards life. You are doing an excellent job, and would love to read more from your blog. I am now obsessed with drinking water and it’s changing my life. I look and feel better. Before I used to live on coffee, tea and diet coke. I love this post! All great tips but don’t stress if all of them don’t fit into your life right now. Life is a long song. You have time to get it right. It’s ok to be temporarily out of balance for the greater good. Let it come to you. Thanks for sharing! I need to get back in the routine of waking early. I feel so much more focused when I do. I really agree about getting moving as well, I find that on days where I exercise I feel much more motivated and happy.